Hydraulic fracturing, more commonly referred to as fracking, is an important aspect of oil and natural gas exploration and production. However, when oil drilling and well fracturing occur there is frac water, waste oils, drilling fluids, and muds that need to be properly disposed of but first need to be contained. That is where International Tank Service can be of service. 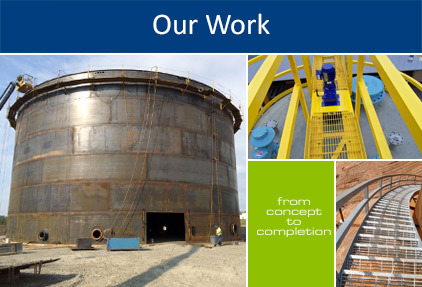 International Tank Service designs, fabricates, and constructs API 650 Aboveground FRAC Storage Tanks. API 650 Frac aboveground storage tanks are designed to store a large capacity of fracking fluids, drilling fluids, and muds. We also offer secondary containment options with our tanks including a double wall storage tank. Our storage tanks range in size from 30,000 gallons to 6,000,000 gallons. 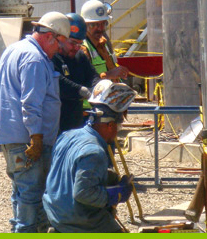 International Tank Service also offers a full line of API 653 Tank Inspection services, API 653 Tank Repairs, Modification Services, and Foundation Design and Construction. Give us a call and let us know how we can be of service to you.